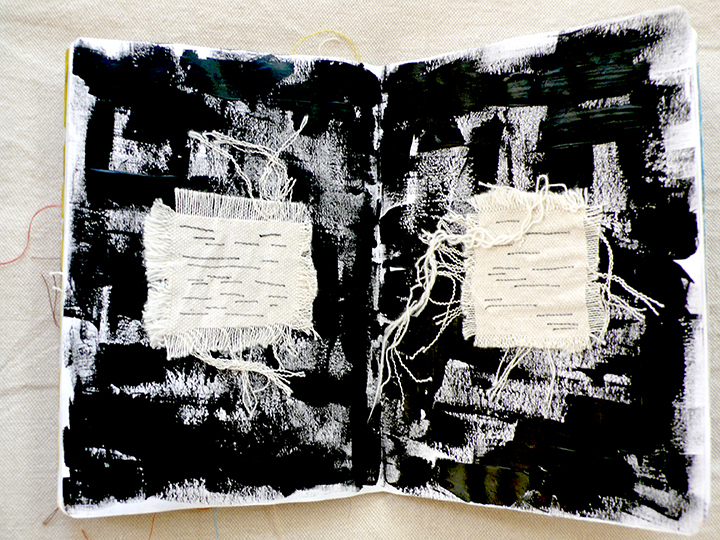 I became part of the 2012 Sketchbook Project last December. The Sketchbooks have been traveling all over the USA and has finally reached Los Angeles. My sketchbook is in the "Along The Lines" subject. The first picture is acrylic paint with shreded cloth and ink. The Second picture has a pencil drawing done while my friend was in the hospital having surgery. 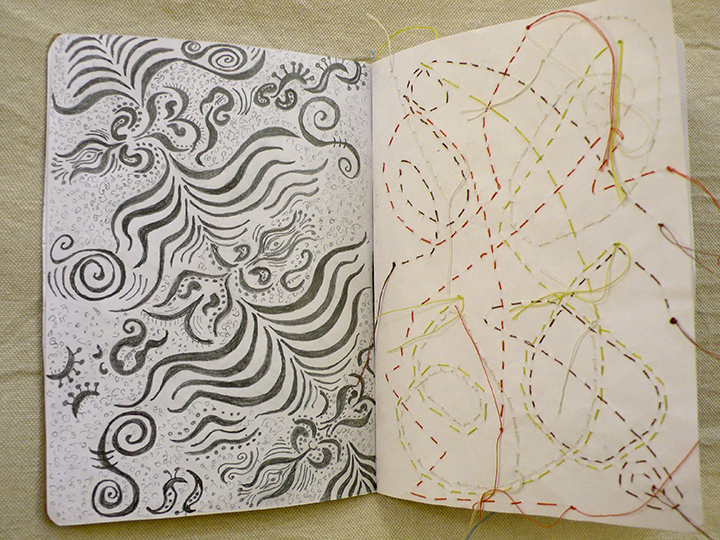 The page next to that is sewn with various colors of thread.